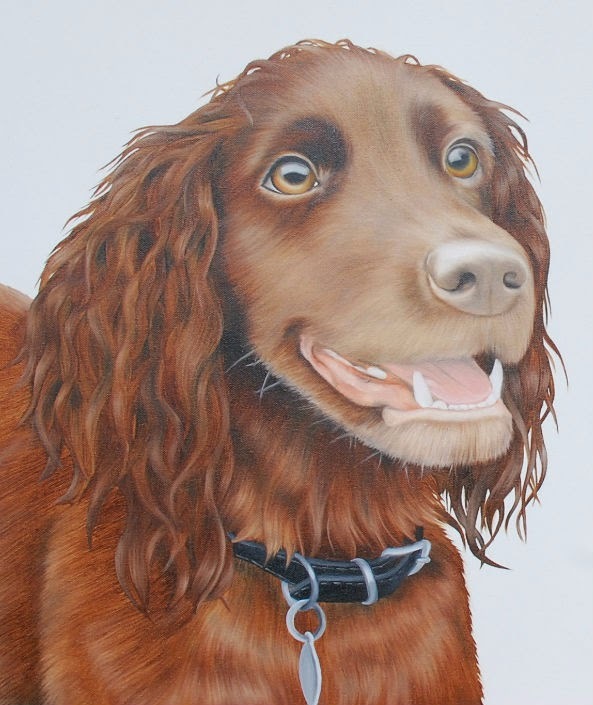 I first met Willow & Isla's Mum and Dad, Victoria and Simon, back in December at the Steeple Leaze Farm Christmas Fair, I had on display the painting of the lovely Collie Jed which caught their eye and they wanted me to capture the personalities of their pooches in the same way. In January the four of them headed over to the farm for me to take a few pics of them, it was great to properly meet them both and they were having a wonderful time chasing a ball and playing in the mud while I snapped away (the dogs by the way, not Victoria and Simon!) Willow & Isla are Mum and Daughter although looking at them play you would think they were both puppies, they were just full of beans, typical Spaniels I suppose! Thankfully my camera is digital as I seemed to take hundreds of pictures whilst they were both playing, although half of them ended up blurry with them both constantly running! After scanning through all the pics I took as well as the ones that Victoria and Simon had kindly emailed over I could finally make a start on the painting. 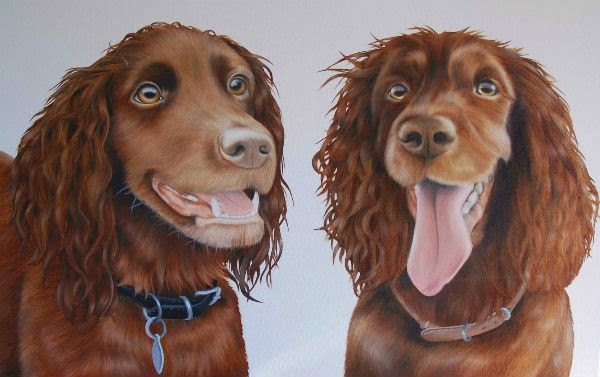 It was great to do them both on one canvas, a lot of people who have more than one dog like the idea of this although worry they wouldn't be able to get both dogs to sit together at the same time for a picture, but it doesn't matter, I think it would be nearly impossible to get the ideal picture of two dogs at once so I often pick separate pictures but just put them side by side on the canvas. 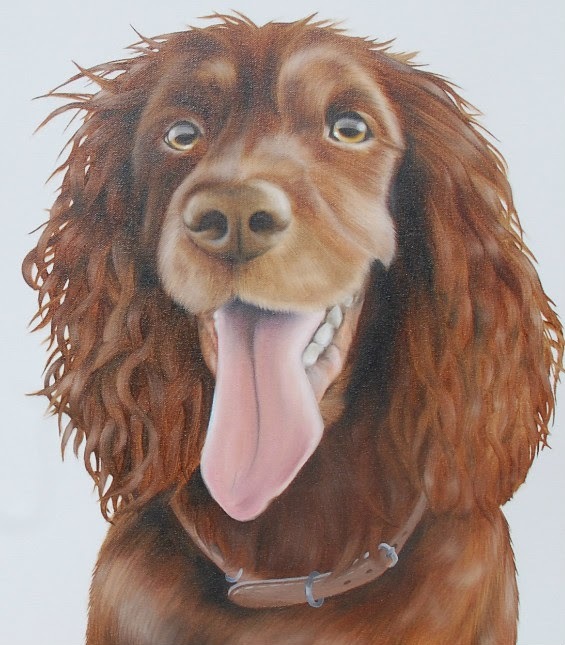 This painting is about 76cmx50cm, painted using Oil on Canvas.